Using only high quality natural and organic ingredients to produce our products is at the core of our ethos. Also, when formulating the products we aim no less than creating the best possible product. Each product goes through a lengthy process and we test them over and over again. We always pay maximum attention to the recommendations our testers give us or suggestions about the way to improve the formula. Different people may have different opinions and that’s just great. We see competition as a way to improve ourselves, so from time to time we apply for an award. 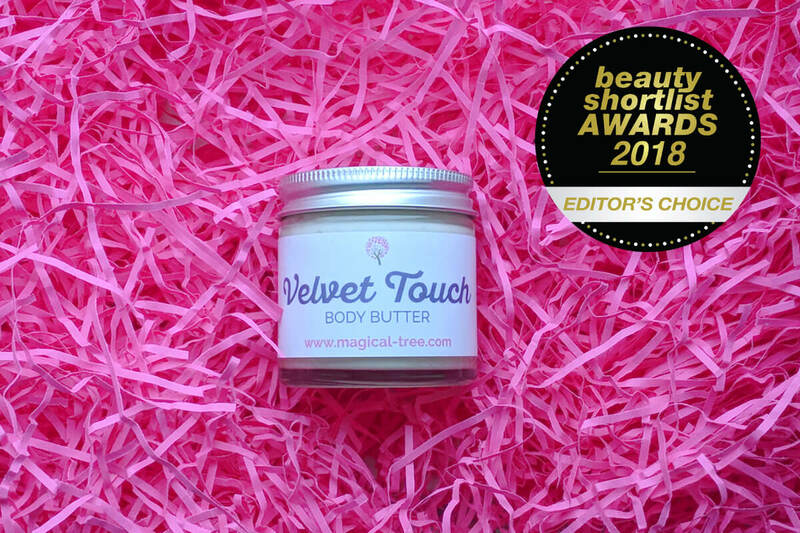 We are very proud to announce that our Velvet Touch Body Butter won Editor's Choice at the prestigious Beauty Shortlist Award 2018! This great achievement drives us to work even harder, to formulate more high quality products and to serve even better our beloved customers. congratulations on the award! it is well deserved!